This article focuses on our experience gained in CFD consultancy, by running a project for STORMEindhoven, the first electric Touring Motorcycle that will drive around the world in 80-days, to improve the drag coefficient in order to expand the electric vehicles driving range. As with most of the projects we do within Simuleon, there is always a clear reason why customers ask us to perform a simulation. 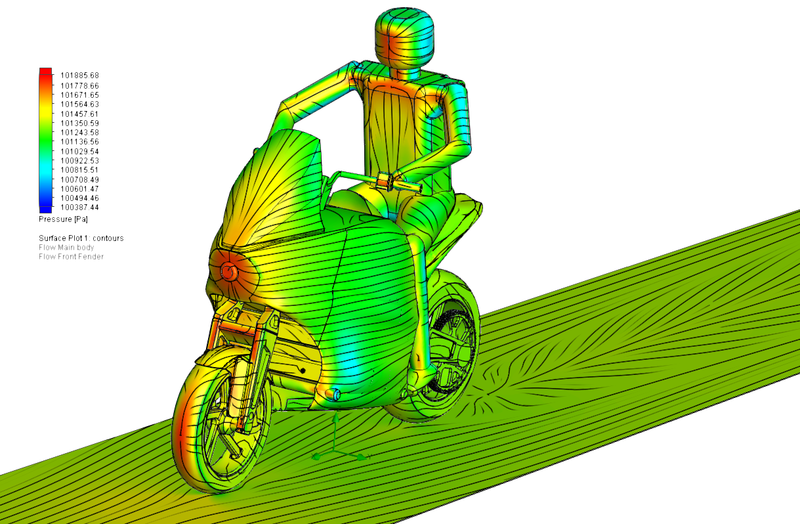 In this project it is all about setting up a simulation which determines the amount of Dragforce and the Drag Coefficient for this unique electric motorcycle. The goal for this team is to travel around the world in 80-days, so the more energy they can spare by providing insight in the current aerodynamics, the airresistance and the dragforce, the further they can drive without changing their battery packs, or drive the same distance but spare the life of the battery packs. The image represents a Computational Fluid Dynamic (CFD) analysis on a spiral christmas tree, where the wind of 10km/h is coming from the right, goes through the spiral tree and creates a turbulent vortex area on the left side of the tree. To finish this story, for the christmas star on top of the three, we performed a structural analysis based on the windload. 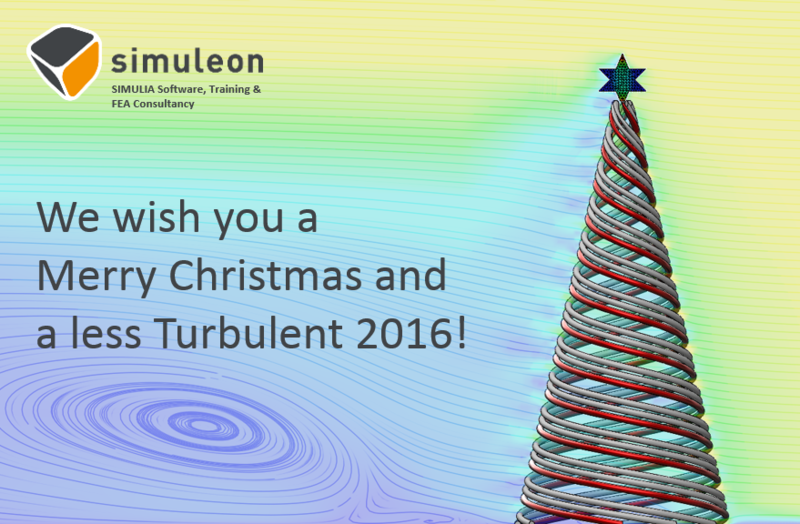 Merry Christmas and a happy 2016 from the Simuleon Team !